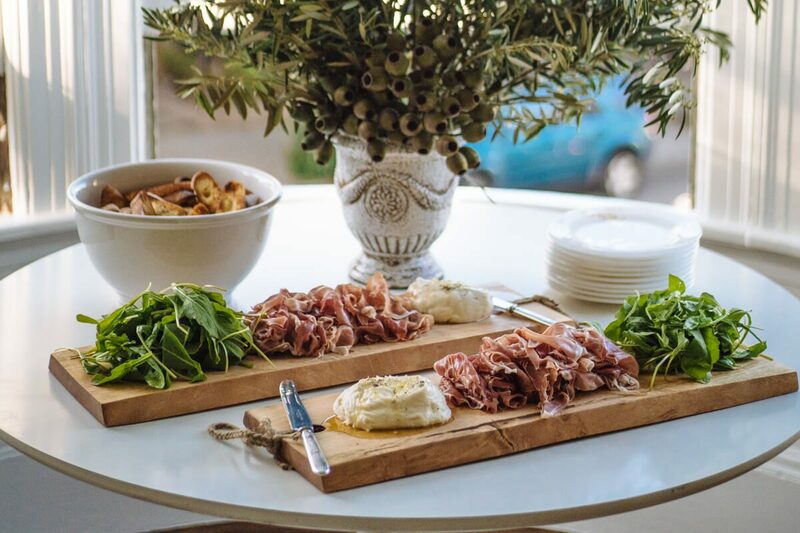 We recently planned the menu for a rustic Italian/California dinner party at a beautiful Duboce Triangle home. The goal was to create a menu that could be made mostly in advance, but still have a homemade (i.e. not catered) feel. 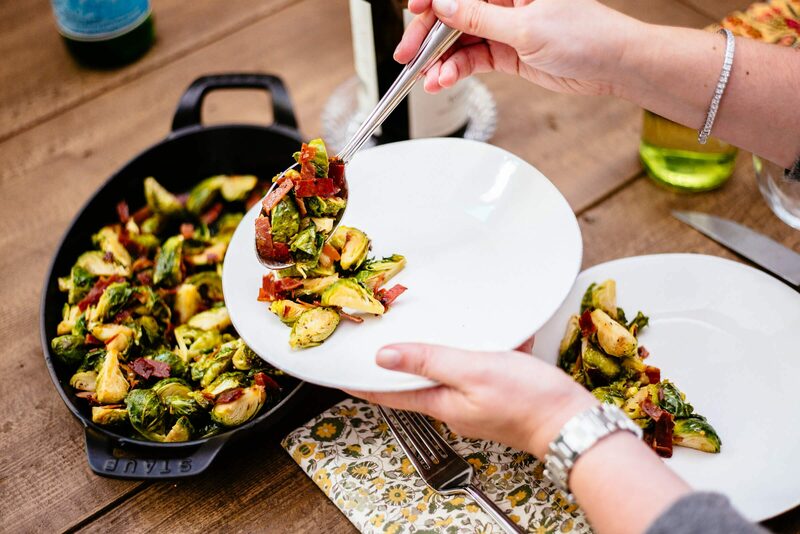 This week we are featuring recipes from the menu we planned, so be sure to check back each day. For the main course, we chose porchetta in keeping with the laid back, rustic feel. It reminds us of really high-end street food. We roasted the porchetta the afternoon of the party, so the hosts could heat it in a convection oven and crisp the skin in closer to the time their guests were to arrive. You can find our favorite porchetta video demo and recipe here. For a side dish, we tossed diced potatoes in the porchetta drippings and roasted them for about an hour prior to dinner. 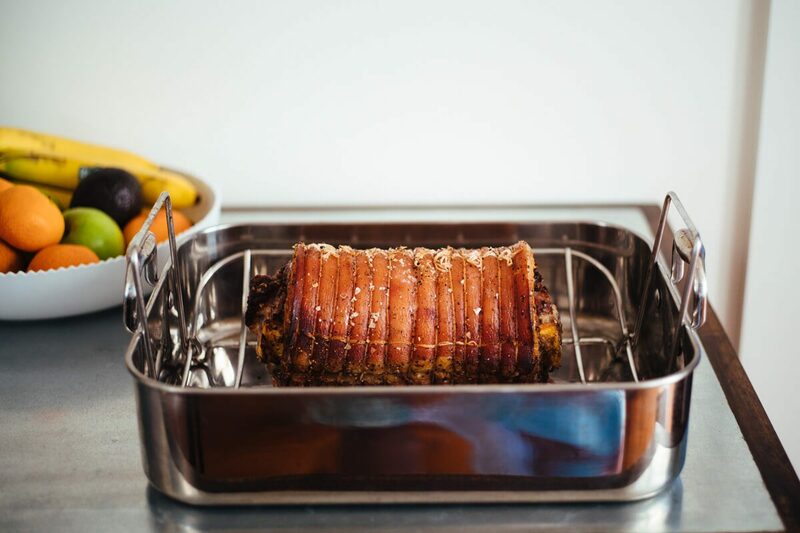 We wanted to mimic the effect of roasting the porchetta on a spit over a bed of potatoes. It was paired with magnums of Dominique Piron Morgon Cote du Py, Beaujolais. We know this is not an Italian wine, but our friends were entertaining Francophiles, and magnums are at least double the fun and always appropriate for a party! You can see other recipes from the party here and here. Tossed potatoes in the porchetta drippings, salt, and pepper.